The Grand Ramayana Tour combines both traditional Tamil places of worship in the north and east of the island and Ramayana Trail sites in the central highlands and the deep south. Furthermore, you can enjoy city tours in Kandy and Colombo and beach relaxation in Bentota. The two main foci are the Jaffna peninsula and the Nuwara Eliya tea area. A special feature of this journey is that all 4 Sri Lankan Ishvarams will be visited, Munneshvaram, Koneshvaram, Naguleshvaram and Ketheeshvaram. For this comprehensive journey to many different parts of the island you need two weeks time, with 14 overnight stays in Sri Lanka. But this period of time can be recommended for a Sri Lanka holiday anyway. 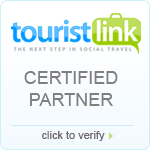 So you will see much many more interesting Hindu and Ramyana places and tourist attractions than other visitors. Airport – Proceed to Anuradhapura in the Morning – Visit Munishwaram Temple – Visit Manavari Temple – Night Stay at Anuradhapura. It is believed that Munishwaram predates the Ramayana and a temple dedicated to Lord Shiva was located here. Munishwaram means the first temple for Shiva (Munnu + Easwaran). A Shiva Lingam was already here when Lord Rama visited this place. Lord Rama after his victorious battle left for Ayodhya with Sita in one of King Ravana’s Vimanas. He felt he was being followed by a Bramhaasthi Dosham (a malevolent black shadow) as he had killed King Ravana who was a Brahmin. Manavari Temple: When the Vimana was passing over Munishwaram, he felt the Vimana vibrating, and realized the Brahmaasti Dosham was not following him at this particular point. He stopped the Vimana at this juncture and asked god Lord Shiva for advice. Lord Shiva blessed Lord Rama and advised installing and praying at four lingams located at Manavari, Thiru Koneshwaram, Thiru Ketheshwaram and Rameshwaram in India as the only remedy to get rid of the dosham. The first lingam was installed at Manavari about 5km from here, near the banks of the Deduru Oya. At the Manavari Temple Chilaw Manavari is the first lingam installed and prayed by Rama and till date this lingam is called as Ramalinga Shivan. Rameshwaram is the only other lingam in world named after Lord Rama. Visit the Ancient City in Anuradhapura in the Morning – Visit Mihintale Rock & Temple – Anuradhapura Sightseeing & City Tour – Night Stay at Anuradhapura. Proceed to Jaffna in the Morning – Visit Nallur Kandaswami Kovil – Visit Jaffna Fort – Visit Jaffna Library – Night Stay at Jaffna. Visit Nagadeepa in the Morning – Visit Nilaavara Well – Visit Jaffna Museum – Jaffna City Tour & Sightseeing – Night Stay at Jaffna. Proceed to Trincomalee in the Morning – Visit the Seven Hot Water Wells – Go to Nilaveli Beach in Trincomalee – Visit the Marble Beach and Pigeon Island – Night Stay at Trincomalee. Kanniya Hot water spring has the history from the King Rawana era. It says that King Ravana stuck the earth with his sward in several spots and several fountains were started on those places. The water was hot and that’s the beginning of this hot water springs. Visit the Dutch Fort – Visit Koneswaram Kovil – Trincomalee City Tour & Sightseeing – Night Stay at Trincomalee. 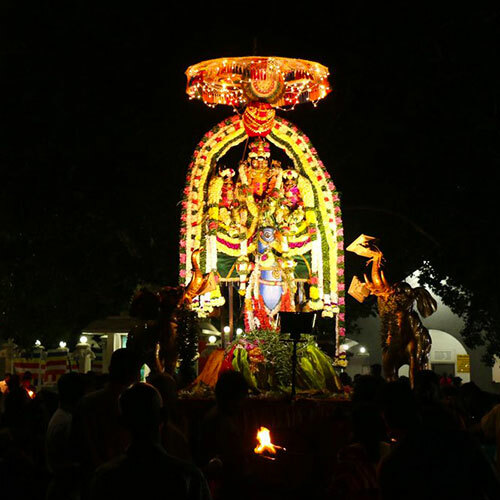 The legend of Koneswaram goes back to the time of Ramayana, when King Ravana was the ruler of Sri Lanka. King Ravana and his mother were great devotees of Lord Shiva. Today, in recognition of his great devotion, the King’s statue has been placed within the temple compound. It is believed that King Ravana who was known to have a virulent temper was subdued by Lord Shiva. Apparently, when his mother was suffering from ill health the King wanted to take Koneswaram Temple to her. As he was lifting the rock Lord Shiva had made him drop his sword creating a great cleft, which came to be known as Ravana Vettu. Another story regarding the same is that King Ravana’s mother wanted him to denounce violence and as such he had thrown his sword thus creating the cleft in the rock. This great cleft can be seen just before the entrance to the Temple. Deep within the sanctum the Great Shivalingum lay. Proceed to Polonnaruwa in the Morning – Visit the Ancient City in Polonnaruwa – Visit the Royal Palace Museum – Visit the Parakarama Samudra Lake – Go on Elephant Ride in Habarana – Climb the Sigiriya Rock – Night Stay at Sigiriya. Is home to the “5th century Fortress in the Sky” which is the fantastic single wonder of the Island .It is also known as Lion Rock because of the huge lion that used to stand at the entrance to the fortress. Within its triple-moated defense the huge rock rises almost to a sheer height of 600ft. On its summit are the foundations of what was once a great and sumptuous palace and gardens complete with swimming pool. On one of the stairways, the only known ancient work of Sinhalese secular painting which has survived in the form of Frescos of life-sized damsels in all the freshness and delicacy of their original color. This is called Cobra Hooded Cave as it has its shape. The tradition states that Sita was held in captivity here. There are many pre-historic drawings on its ceiling. There is a distinct link between Sita and the cave and it the following is inscribed, ‘Parumaka naguliya lene’. It would have been inscribed after Rawana’s period but positively it has a connection to Sita’s stay in this cave, as the word ‘naguliya’ refers to Sita. Proceed to Kandy – On the way, visit the Golden Cave Temple in Dambulla – Visit Spice Gardens in Matale – Visit the Matale Kovil – Visit the Temple of the Tooth Relic in Kandy (World Heritage Site) – Watch the Kandy Cultural Dance Show in the evening – Night stay at Kandy. 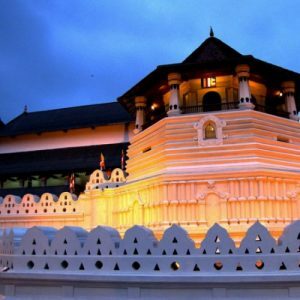 This temple, the most important one for The Sri Lankan Buddhists was built in the 16th Century A.D. solely for the purpose of housing the tooth relic. Observe the magnificent Architecture of that period and experience the tranquility of the atmosphere. Traditional Dancing Show: The Dance was done during the king’s times as an entertaining show for the kings. However its popularity reduced when the British took over, but now it’s revived and taken on for the stage. The Kandyan Music & the Dresses all are a beauty to watch. Proceed to Nuwaraeliya – Visit Tea Plantation & Tea Factory – Visit Hanuman Temple in Ramboda – See Waterfalls at Ramboda – Visit Gregory’s Lake – Visit Hakgala Botanical Gardens (Ashok Vatika) – Night Stay at Nuwaraeliya. The Ramboda area is believed to be an area where Rama’s forces were gathered against Ravana. RamPadai means Rama’s Force. The hills of Ramboda is also believed where Hanuman was searching for Sitadevi. The Chinmaya mission of Sri Lanka has built an Anjaneyar temple with Hanuman as the presiding deity. This temple is called Sri Baktha Hanuman temple and the image of lord Hanuman here is 16 Feet tall. Gregory Lake was built under the period of British Governor Sir William Gregory in 1873. This is the most prominent attraction in Nuwara Eliya and all the vistors used to come here and spent some time by the lake and relax. This is used as a place for water sports. The Hakgala Botanical Gardens was one of the pleasure gardens of King Ravana. This garden was expanded during the British period and has a wide variety of flowers including an excellent collection of orchids. This is the exotic pleasure garden where King Ravana kept the depressed Sita, insisting that she marries him. It was here where the heartwarming meeting took place between her and Hanuman, who brought her Rama’s ring with the news that Rama was looking for her. He offered to carry her back but she refused saying it would be an insult to Rama’s honor if she did so. Part of this majestic garden still exists. It is also said that Hanuman nearly destroyed it in order to prove to Ravana of the forces against him. Proceed to Ella in the Morning – Visit Seetha Amman Kovil in Seethaeliya – Visit Divurumpola Temple (‘Place of Oath’) – Climb the small Adam’s Peak in Ella – Visit Ravana Ella Cave – Ella Sightseeing – Night stay at Ella. The stream that runs from the hill, catered to the needs of Sita devi during her stay at Ashok Vatika. She is said to have bathed in this stream. About a century ago of three idols were discovered in the stream, one of which was that of Sita. It is believed that the idols have been worshipped at this spot for centuries. Now there is temple for Rama, Sita devi, Luxshmana, and Hanuman by the side of this stream. It is interesting to note that foot prints akin to Hanuman’s are found by this river and some are of small size and some are of large size, which tells us of the immense powers of hanuman transforming himself into any size. Still revered by thousands, this holy haven was the place where Sita performed her Agni Pariksha (proving her chastity) to her husband Rama. Continuing the practice for thousands of years, villagers still pledge their fidelity or take oaths there and even in certain courts, this agreement was binding. This place has been respected and worshipped by people down the ages. Ella is a small mountain village near Bandarawela and boasts three locations linked to the Ramayana where local legend claims Ravana was hiding Sita. First there is the Ravana Ella Cave, located at the massive Ella Falls; a breathtaking 1080 feet high waterfall that cascades into several falls. The rocky undergoes of the waterfall is Khondalite, a kind of limestone which undergoes faster decay as hard gneiss or granite. This has resulted in many caves being formed near the falls. King Ravana is said to have lived in one of the caves above the waterfall. A nearby pool bored out of the rock by the gushing waters is where Sita is said to have bathed Ravana. 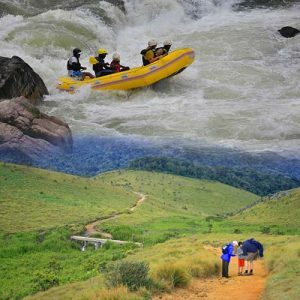 Proceed to Tissamaharama (Near Yala National Park) in the Morning – Visit Ravana Ella Waterfalls – Go on Yala Safari in the Afternoon – Night Stay at Tissamaharama. 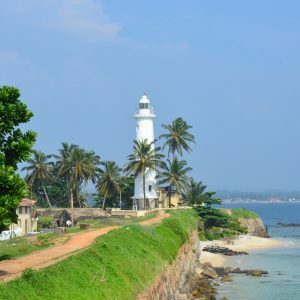 Proceed to Katharagama in the Morning – Visit Katharagama Holy Grounds (Buddhist Temples, Hindu Temples and Muslim Mosques) – Visit Holy River in Katharagama – Proceed to Mirissa – Visit Ussangoda – Enjoy and Relax at the Beach and in the Swimming Pool in Mirissa (Mirissa is one of the Best Beaches in Sri Lanka. The Sea in Mirissa is very calm and it is almost like a Pool. You can enjoy the whole day in the beach) – Night Stay at Mirissa. According to Ramayana, after meeting Seetha Devi Lord Hanuman decided to test the strength of the mighty King Ravana and his army of Rakshasas. In the event that unfolded Lord Hanuman’s tail was set on fire by the Rakshasas, who in turn went on to torch some parts of King Ravana’s empire. Ussangoda is one of the torched areas, which is said to have been an airport used by King Ravana. This area still holds the blackened, burned scorched effect as a reminder of Lord Hanuman’s escapade. It is also evident that the adjoining surrounding area has plant life. Its soil is altogether of a different color. This is situated on the Southern Coast. You will pass Dondra, Seenigama, Hikkaduwa – The southernmost part of Sri Lanka is called Dondra and further up towards west is called Seenigama Hikkaduwa. These are the places from where Sugreeva king of the Vanaras started his onslaught on King Ravana’s forces. Go on Whale & Dolphin watching, early in the morning in Mirissa – Go on Surfing, Enjoy and Relax at the Beach and in the Swimming Pool in Mirissa – Night Stay at Mirissa. 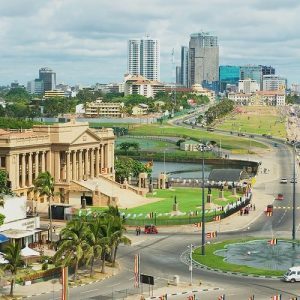 Proceed to Colombo in the morning – On the way, visit Rumasala (Sanjeevani Drops) – Visit Galle Fort/Dutch Fort (World Heritage Site) – River Cruise at Madhu Ganga, Mangrove Islands (Beautiful Islands with Wildlife and Nature) – Visit Turtle Hatchery – City Tour in Colombo – Go Shopping in Colombo – Night Stay at Colombo. At different points of time during the war both Rama and Lakshmana were hit by powerful arrows and fell unconscious. To bring them back to life, Hanuman was instructed to fetch the lifesaving herbs from Himalaya. Hanuman went to the hill, lifted the whole hill and brought it, as he was not able to identify the lifesaving herbs alone. Parts from the hill fell on five places in Sri Lanka, namely, Rumasala in Galle, Dolu Kanda in Hiripitiya, Ritigala on the Habarana Anuradhapura road, Thalladi in Mannar and Kachchativu in the north. Day 15: Anjaneyar Temple, Airport. Temple: This is the first Anjaneyar Temple in Sri Lanka and also the only Panchamuga (five faced) Anjaneyar Temple in Sri Lanka. It’s the only temple in the world to have a chariot for Ajanyear.